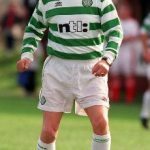 It’s not so long ago that the League Cup (or any of its pseudonyms such as the Skol Cup, Coca Cola Cup, CIS Cup or the Bet Fred Cup) was seen as Celtic’s bogey tournament. Between 1974 and 1997 Celtic competed in that tournament on 23 occasions and, remarkably, won the damned thing just once. 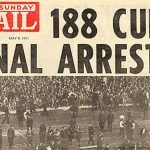 The newspapers loved to use phrases such as hoodoo, curse and jinx to describe Celtic’s misery in what was always the initial silverware of the football season. In comparison during the same period Celtic won the Scottish Cup on seven occasions which definitely puts that one measly League Cup win statistic into perspective. 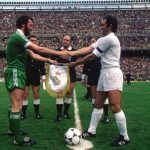 Looking back on it it’s difficult to explain the reasons for Celtic’s poor form in that tournament during that period. There was certainly a time when the club were at a low ebb pre-Fergus McCann but there were Celtic sides in the late 70’s/early 80’s who should have made their mark and fared far better. It was too easy back then to say that the League Cup was the lesser of the three domestic trophies and that we weren’t that bothered about it because, believe me, we were. Bad luck certainly comes into the equation to an extent. In the 1976 final Celtic pounded Aberdeen at Hampden on a day of constant rain only for bad finishing and an Aberdeen winner in extra time, against the run of play, to give the Dons the cup, which is still a painful memory after all these years. In the 1978 semi final the game against Rangers was fading out towards a replay at 2-2 when young Celt, Jim Casey, inadvertently scored a freak own goal to give Rangers a late victory. That semi final is recalled for some dubious refereeing by a guy called Hugh Alexander who gave Rangers the softest of penalties and controversially sent Tommy Burns (Celtic’s best player on the night) off for dissent. It was not to be an isolated incident. In the 1984 and 1986 finals, Rangers were awarded debatable penalties which ultimately resulted in narrow victories on both occasions for the Ibrox men. It has to be admitted that some of Celtic’s misery was self inflicted. In the 1990 final, Celtic and Rangers were again locked in extra time on another awful wet afternoon at Hampden. When Anton Rogan went on a lung bursting 50 yard run, he sent Dariusz Dziekanowski clear on goal, only for the Pole to tamely shoot at Chris Woods for an awful miss. It was then typical that a mix up between Pat Bonner and Chris Morris allowed Richard Gough to score a late Rangers’ winner. The memory of Jackie’s miss still haunts me even now. 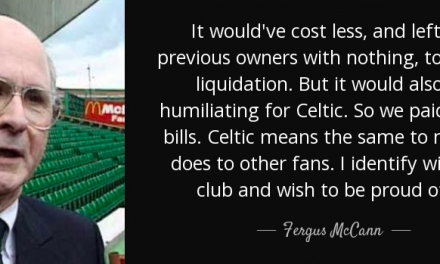 As stated, not all of Celtic’s failings during the period can be put down to bad luck. In 1981 Billy McNeill’s Celts couldn’t even get out the group stages after they inexplicably lost their first two games to St Mirren (best remembered for two Willie Garner own goals) and St Johnstone. 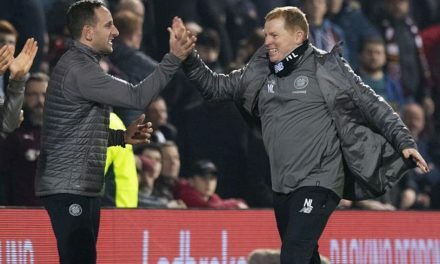 In the resulting four group matches Celtic won 4-1, 4-1, 5-1 and 4-1 and still went out. In the mid 1980’s the League Cup then discarded replays and went to extra time and penalties to ensure a certain winner on the night. This may have been great for neutral fans but Celtic supporters will not recall those penalty shoot outs with much pleasure. In 1985 at Easter Road, after an amazing 4-4 draw after 120 minutes, Celtic lost to Hibs after Pierce O’Leary blew the final penalty kick of the tie. There was one consolation to that Ibrox defeat against Raith. Three years later Celtic returned to Ibrox to beat Dundee United convincingly in the final by 3-0. For those of us who endured that horrible experience against Raith , this was akin to an exorcism and made the United triumph that day all the sweeter. Ibrox has never looked better than it did on that cold, late November afternoon as it was bathed in a sea of green and white. 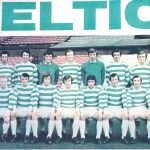 Between 1965 and 1970 Jock Stein’s Celtic team actually won the League Cup on 5 consecutive occasions, which is still a tournament record. 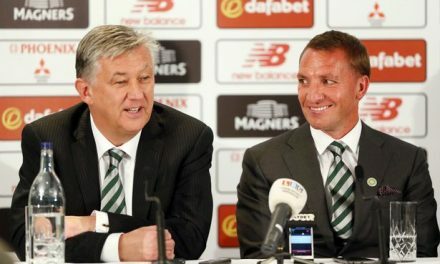 After Sunday’s win over Aberdeen, Brendan Rodgers and his Celts now have 3 successive League Cup wins and the hope would be now that Brendan could not only emulate Stein’s record but even surpass it. Right now you wouldn’t bet against it. As we bask in the triumph of Sunday’s latest League Cup triumph let’s never take this great period success we are currently enjoying for granted. Maybe it’s the memory of those past adversities that makes the current triumphs all the more sweet. And let’s hope that there is more success to come our way this season. There are more prizes there for the taking and hopefully the 2018 League Cup was just the beginning for this season.